This is one way Memphis Meats explains their novel process for growing clean meat from cells rather than from animals. But it's not just the minute scale of this farm that makes it unique: it is the transparency around the process. 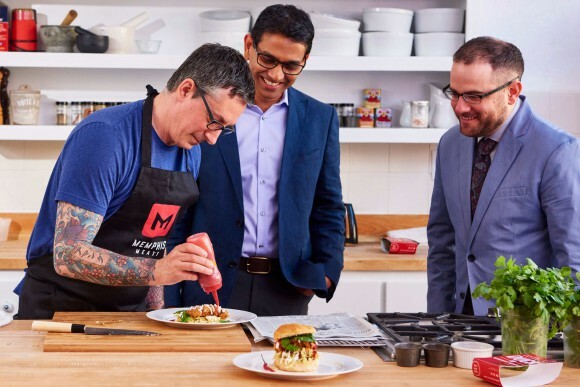 In an era where conventional, industrial-scale farming operations and slaughterhouses are more sequestered away from society than ever, Memphis Meats Co-Founder and Chief Visionary Dr. Uma Valeti is radically devoted to inviting consumers in to see how their meat is created. In 2015, cardiologist-turned-entrepreneur Dr. Valeti founded the first clean meat startup in the United States. Following in the disruptive footsteps of Warby Parker, Casper, and Netflix, Memphis Meats is cutting out the middlemen. In this case, the middlemen are animals and slaughterhouses. 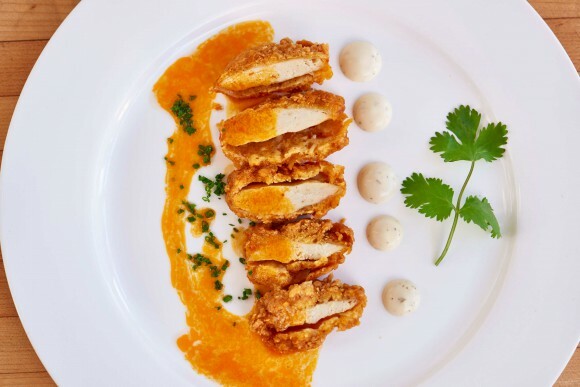 As Memphis Meats edges closer and closer to bringing their clean beef, poultry, and duck to market – fueled by investment from Bill Gates, Richard Branson, Cargill, and Tyson – they’re keen to welcome everyone to see how they are able to create meat without slaughter. In this spirit Dr. Valeti, who is also a GFI advisor, will be speaking about his experience at the forefront of the emerging clean meat industry at the GFI Conference next month (sign up to watch on our livestream! ), but you don’t have to wait until September to get a front row seat for a discussion with this clean meat pioneer. He spoke with me about his path to clean meat entrepreneurship and about Memphis Meat’s development and strategy. 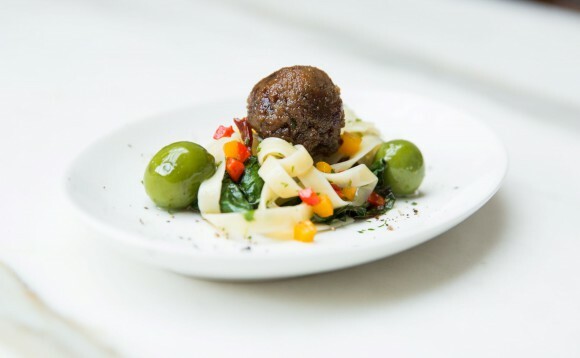 Memphis Meats has pioneered the world’s first multi-species clean meat platform. NBD. What inspired you to pivot from a career in cardiology to launch a clean meat startup? From an outside perspective, I can see how it might look like a pivot. But to me, it honestly doesn’t feel that way. Cardiology was an absolutely essential stage in my career that allowed me the opportunity to even consider launching it as a business. Starting from the beginning: I’ve loved the taste of meat since childhood but also saw the challenges associated with modern meat production from an early age. It wasn’t until 2005 that I first got the idea of producing meat from animal cells. That was during my cardiology fellowship at the Mayo Clinic. Later in my interventional cardiology practice, I was involved in a study using stem cells to repair heart muscle tissue damaged by large heart attacks. I came to the realization that if stem cells could be used to regrow heart muscle tissue, they should be able to be used to grow animal muscle tissue – aka meat. I started by trying to convince others to start companies in this space because I thought this innovation could solve so many pressing global issues, but nobody would do it. And so I decided to start one myself. I came to the realization that if I continued as a cardiologist, I might save maybe a few thousand lives over the next thirty years. But if I am successful in helping to change the way meat is made, I could positively impact billions of human lives and trillions of animal lives. While we’re on the topic of the launch – as the first company in this industry, Memphis Meats had to deal with a lot of uncertainty and external skepticism in those early days. (Funnily enough, even GFI was skeptical at that point!) Truly it was only after we had people taste it for the first time that we knew this was absolutely real. In many ways, to me, that was the inception of this industry. It has been tremendously exciting to see it take off – and it’s clear to me that this is only the very beginning. You’ve said that you are able to select the best quality cells to grow meat—what makes for a beautiful, high-quality cell? Good question! There are all sorts of attributes that make for optimal cells. One is an ability to renew and differentiate efficiently while using minimal resources. Another is the ability to provide us with the tastes, textures, aromas and nutrient profiles we want. As you get closer and closer to commercialization, how are you thinking about getting consumers excited about clean meat? One of the things I’m proudest about at Memphis Meats is our commitment to transparency. We have always and will continue to provide consumers with a look at our progress, process, and products. We had our media debut – including a viral video of our beef meatball – when we were less than six months old and had only 4 team members. We went against the grain to have this discussion so openly, but we genuinely feel transparency and keeping the public part of the conversation is absolutely essential to the success of the industry. Since then, we’ve regularly updated the public as we’ve made progress on various aspects of our company, including our research progress, our business development, our investors, our team members and our regulatory strategy. We’ve spoken with and participated in media in 5 different continents. Once we are producing food for consumption, we will host tours of our production facilities. This will offer the public an unprecedented degree of transparency, especially compared to conventional meat production. We are incredibly excited to bring to consumers food that they love and can feel good about. You started with ground beef but are working on chicken and duck as well now. Why are chicken and duck key development areas? Last year, we unveiled the world’s first poultry products made from bird cells. We chose chicken because it is the most popular meat in America, and it will soon be the most popular meat in the world. And we chose duck because while it is less popular in the US, we aim to eventually have a global presence, and duck is very popular in other parts of the world like China and France. More broadly, we believe it is important to show our ability – both to the market and ourselves – to produce meat across a variety of species. Our hope is to build a platform that can flexibly handle production of any type of meat – to meet any and all consumer demand. Why is the cardiologist in you excited by the prospect of clean meat? I got into cardiology because I wanted to positively impact human health. I see my role at Memphis Meats as an extension of that mission – I get to play a larger role in improving our food system from a public health perspective. The world’s population is on track to exceed 9 billion by 2030. Without major innovations, the ever-growing number of mouths to feed could become a catastrophic public health crisis. Our innovation could play an integral role in sustainably feeding the world. In addition, this innovation has huge potential from an environmental sustainability and animal welfare perspective. This wide range of benefits has gained us a tremendous amount of support from all walks of life. When I was first thinking about starting a company in this industry, I had a lot of conversations around the dinner table with my family. My feeling was that it was an exciting opportunity, but it would also be a huge disruption for my cardiology career and my family’s lives. One day my kids asked, “Dad, if you don’t do it, who will?” That question was the most important motivator for ultimately pushing me to take the plunge and start our company – and it continues to motivate me to this day. Want to hear more from Uma? Although the Good Food Conference (Sept. 6-7 in Berkeley, CA) is sold out, you can get inspired by Uma and all the great speakers by signing up for the livestream. All images in this post are courtesy of Memphis Meats.